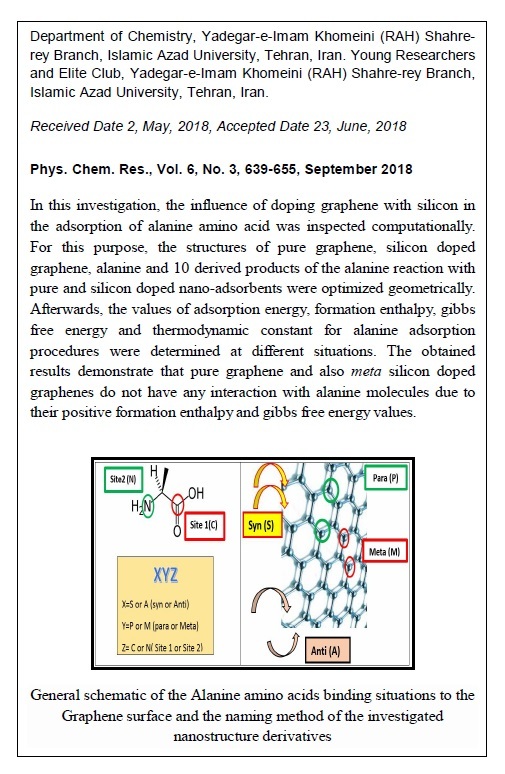 In this investigation, the influence of doping graphene with silicon in the adsorption of alanine amino acid was inspected computationally. For this purpose, the structures of pure graphene, silicon doped graphene, alanine and 10 derived products of the alanine reaction with pure and silicon doped nano-adsorbents were optimized geometrically. Afterwards, the values of adsorption energy, formation enthalpy, gibbs free energy and thermodynamic constant for alanine adsorption procedures were determined at different situations. The obtained results demonstrate that pure graphene and also meta silicon doped graphenes do not have any interaction with alanine molecules due to their positive formation enthalpy and gibbs free energy values. But doping graphene with silicon in para situation can lead to the spontaneous and exothermic adsorption of alanine because of the achieved negative ΔHf (-4.4040 and -2.6881 eV) and ΔGf (-3.3973 and -1.6887 eV). The great acquired thermodynamic constants (1.689× 10+28 and 6.140× 10+56) have also confirmed this results. 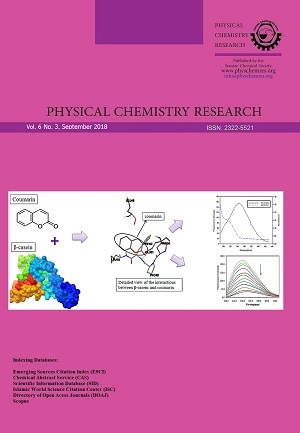 Some chemical properties such as HOMO and LOMO energy levels, energy gap, electrophilicity, chemical potential, maximum transmitted electron and dipole moment in the reactions were also evaluated. And the acquired HOMO–LUMO gap values indicate that silicon doped graphene can also be useful for sensing this amino acid. All calculations were applied by Density functional theory in the level of B3LYP / 6-31G(d) and the aqueous phase.